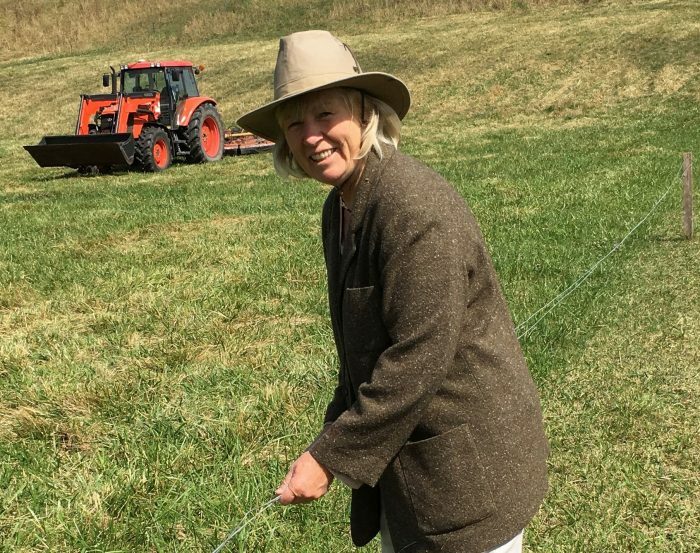 Mary Simpson is carrying on her dad’s legacy on the 270-acre Simpson family farm in Middlesex County. The riverfront property is flanked by the westward-flowing Thames River as it winds its way through the Lake Erie watershed. This has been a working farm since the 1830s. Here, generations of families raised crops and grazed cattle in the upland and riverside pastures. 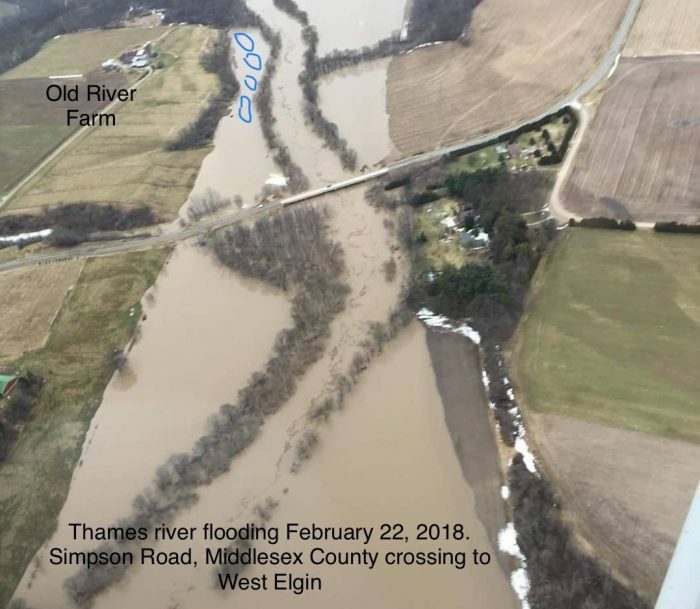 The farm is 40 per cent creek lands and river flats, where erosion gullies developed over time as water ran down from the pastures to the river. A dynamo who is deeply involved in her community, Mary naturally turned to her community for help to green the shoreline. 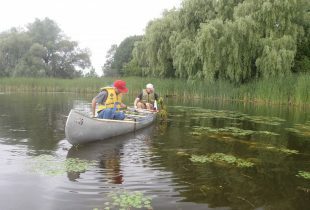 She placed a call to the Lower Thames River Conservation Authority and, soon, she had conservation partners, including DUC, to help coordinate her restoration project. Mary’s project focused on six acres of the river flats. First on the agenda was the restoration of a small wetland. Small wetlands are recognized as a natural solution to reduce phosphorous and other nutrients in waterways like the Thames River. The Government of Ontario acknowledged the critical role of wetlands in 2017 with a commitment to reversing wetland loss by 2030, and partnered with Infrastructure Canada to target small wetlands in the Lake Erie Watershed. 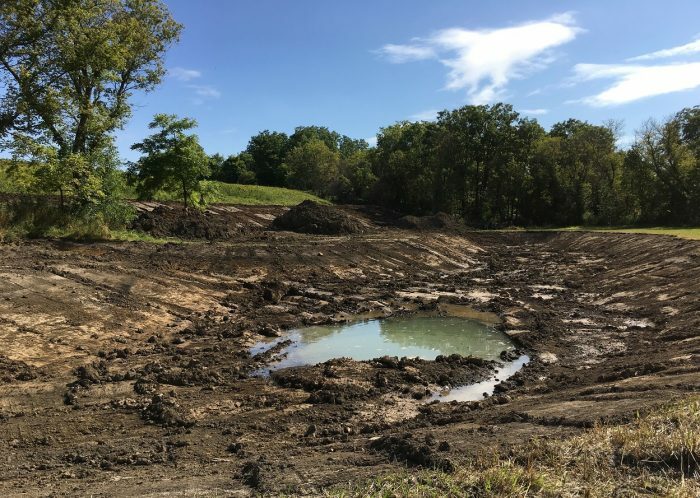 The Simpson farm’s small wetland was restored by DUC in the autumn of 2017. Four ponds were dug beside the river and some of the excavated material was used to repair the eroded gullies. Fast-germinating wetland seed mix was spread to reduce future erosion. Mary says she’ll never forget the happiness she felt when seeing the new ponds fill with water for the first time. 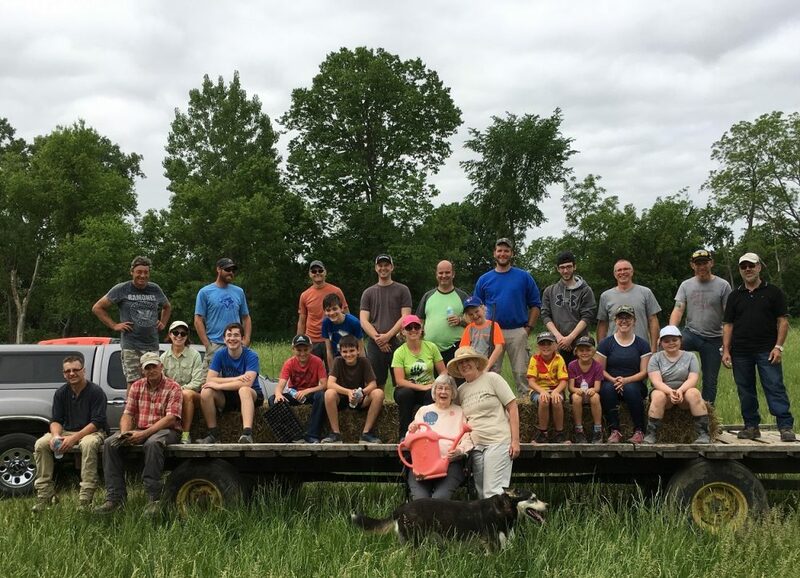 This spring, Mary and Ross hosted an old-fashioned planting bee to establish tall-grass prairie habitat next to the wetland. 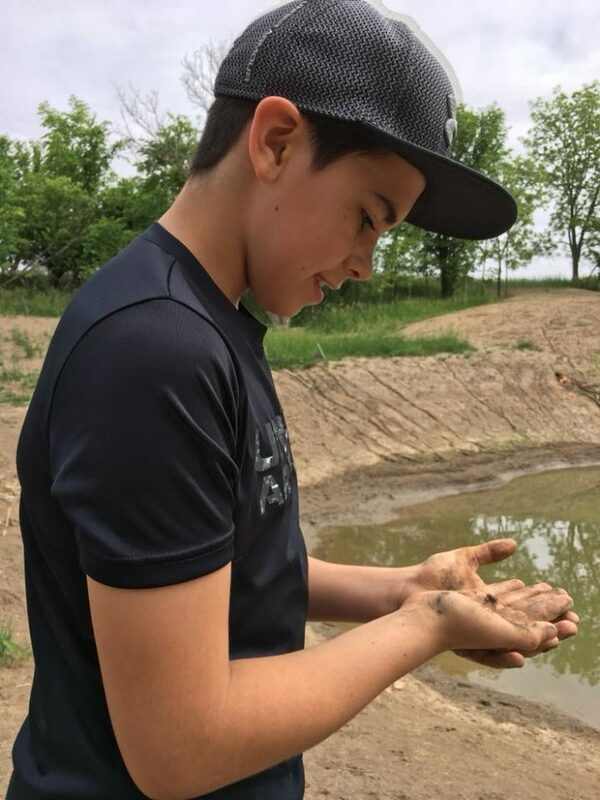 Some 30 community members of all ages came out to enhance the shoreline with 1,600 tallgrass plugs raised in an Aamjiwnaang First Nation greenhouse. 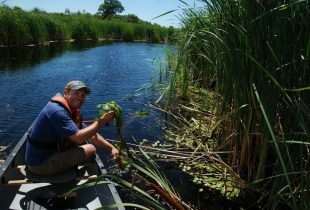 The planting was supported by Ontario’s Great Lakes Guardian Community Fund and the Species at Risk Farm Incentive Program. The couple also plan to add wood duck houses, snake hibernacula and pollinator hotels. “We really want to provide a place for the ducks, birds and turtles,” says Mary. The restored wetland at Old River Farm is part of a collective interest in natural infrastructure – defined by the Province of Ontario as natural and human-made elements that provide ecological and hydrological functions and processes. 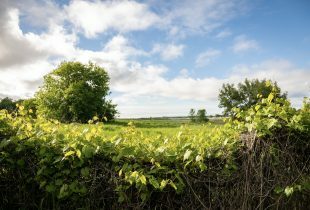 Mary’s wetland captures surface water and run-off from farm activities in a natural filtering system before it enters the watercourse, protecting the Thames River and providing habitat for waterfowl and other wildlife.